A montage of 75 years' worth of Superman covers are gathered together in a collage for this 1,000-piece puzzle! 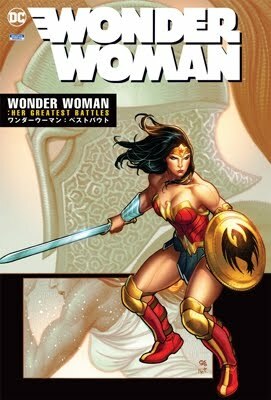 In reference to the "select stories" being reprinted from Action Comics #600 - considering the total page count of this trade, it's likely that a couple of the 8-pagers from AC #600 will be included, and not the 32-page Byrne/Perez story (which was recently reprinted in Wonder Woman Vol.3: Beauty And The Beasts TPB anyway). Don't miss this collection of tales from the '80s, reprinted from ACTION COMICS #507-508, 554, 595, 600 (select stories), 644, SUPERMAN #408, DC COMICS PRESENTS #29, and ADVENTURES OF SUPERMAN #430! Artist/writer Jerry Ordway provides the introduction and context for this latest addition to DC's "Decades" library.